The clients wanted to update and lighten up the space and that is exactly what we did. Putnam Master bathroom was very dated to say the least. 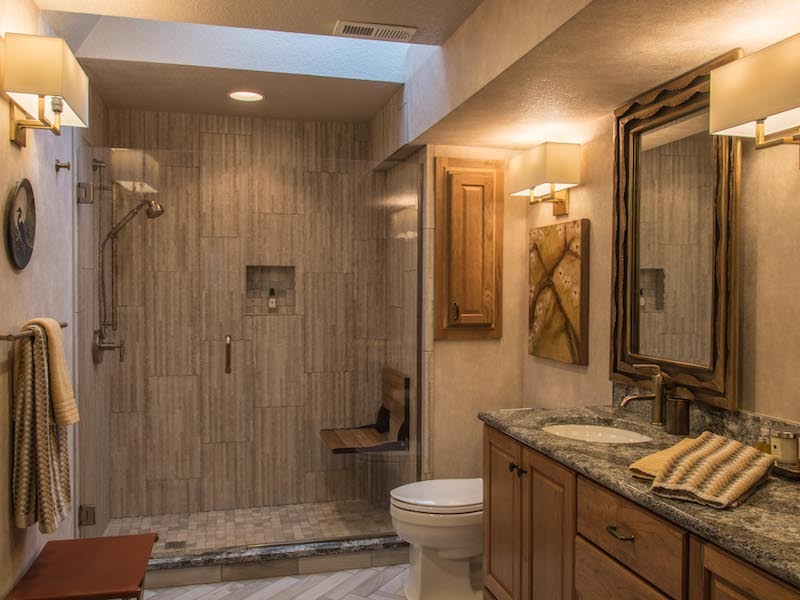 Transforming this bathroom was a fun challenge. The space was small and felt cramped. 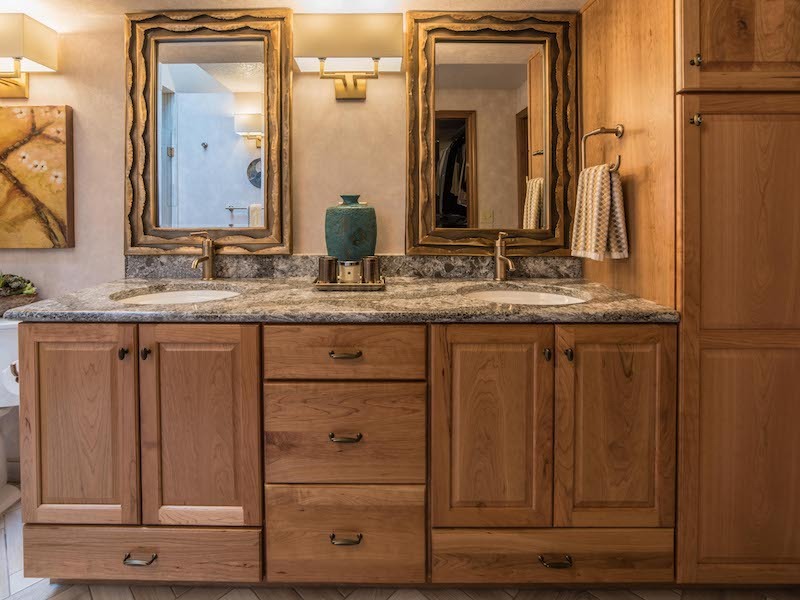 I wanted a dramatic change for my clients that would open everything up but still work with the natural wood trim throughout the home and their own taste and sensibilities. 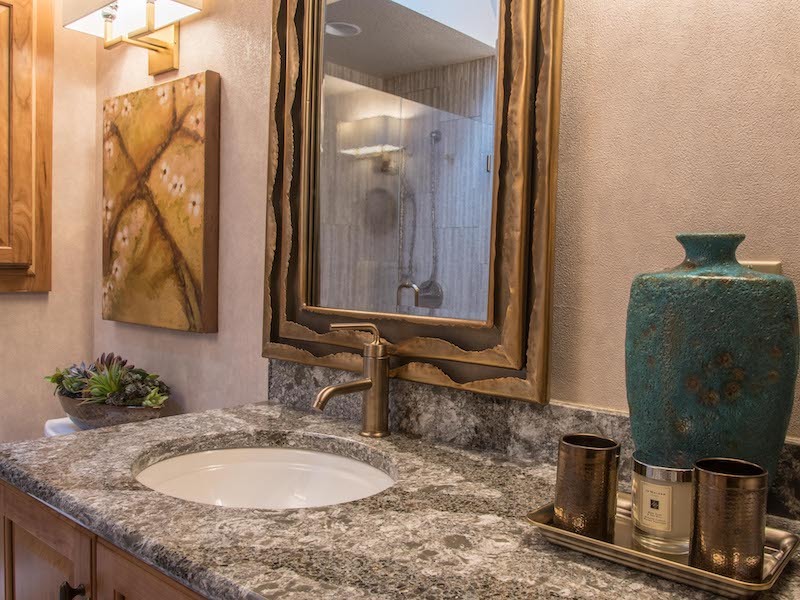 I was successful creating a “Wow” factor by mixing lovely sconces, dramatic metal bronzed mirrors, wood grain tile and natural cherry cabinets. I designed extra storage in every nook and cranny I could to maximize the storage. This project is proof that great things come in small packages. The client had a wonderful kitchen design layout that they didn’t want to improve upon. What the clients wanted was to update and lighten up the space. 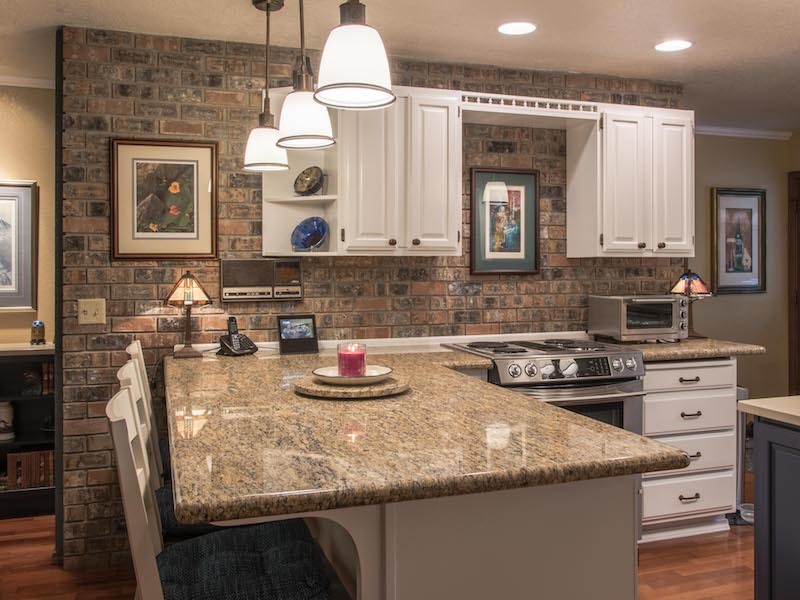 I searched high and low to find the right backsplash tile that would work with their existing Granite counter tops and beautiful brick wall. I setting on this incredible slim brick that was expertly installed around the window at the sink and embellished with a fun band of color of multi colored fire baked tiles. 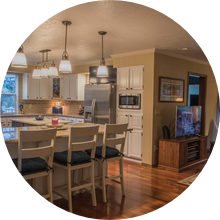 Pendant lights were added and a larger navy blue and more functional island was added. 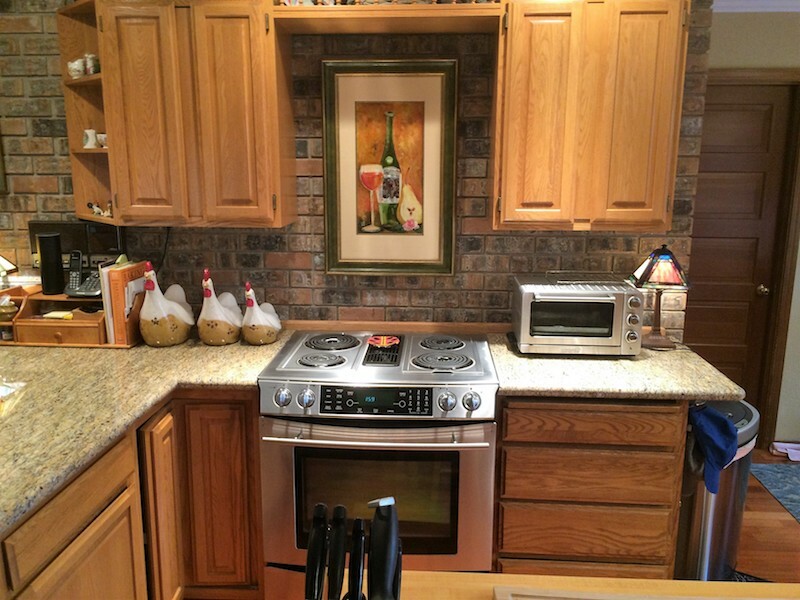 The results are a warm and inviting kitchen that is fabulous for entertaining. © 2017 Red Door Interiors. All Rights Reserved.